This is a seriously simple activity... which are the best sort of activities, right? I hosted Mommy and Me Book Club at my house this morning. Typically I am very organized, but last week was a crazy week, so I didn't start planning our activities until about midnight last night/this morning. Over the next little bit I'll share many of the different things we did during our book club time, but I thought I'd space them out in a few posts instead of overwhelming you with all the different activities in one post. 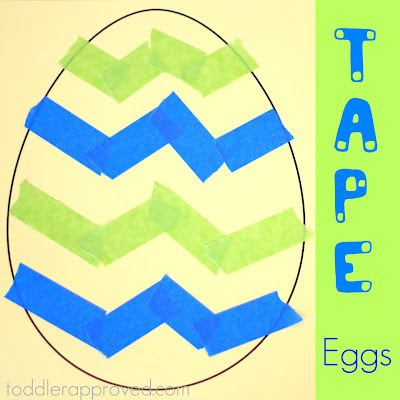 Tape eggs are simple and the kids loved them. Skills we worked on were ripping, tearing, and snipping! Tell the kids to rip, snip, tear, and stick the tape on their eggs! You will love all the different ways that they create designs! If you have time (we did not), cut out the eggs and then string them all on some ribbon and make a tape egg garland or some sort of other cute spring decoration for your home! This week for book club we read There Was An Old LadyWho Swallowed a Chick by Lucille Colandro. It was funny and silly and the kids loved it. I'll share some other egg, chick, and bunny related activities later this week. We did this tape egg project as a gathering activity while we were waiting for everyone to arrive. 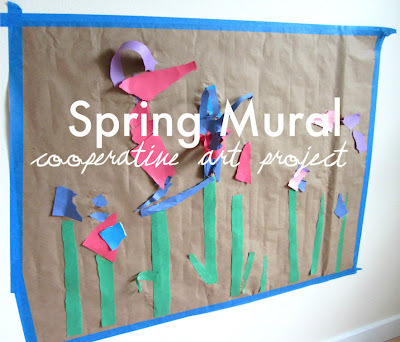 Another tape activity you could try that would be fun with a small group would be No Time for Flashcard's Spring Mural. Need some other egg ideas? Check out Egg Week over at Tinkerlab and The Chocolate Muffin Tree. 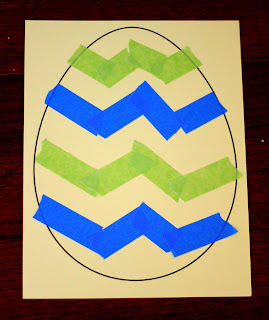 They are posting egg themed activities all week long! January- What Will the Weather Be Like Today? 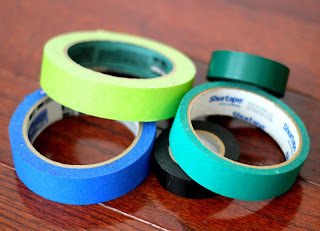 Such a simple but super cute ideas for those little fingers to manipulate! Thanks for sharing! We love Mommy and Me Book Club and have had much success with our over the years.